EPISODE 22 What Do YOU Want? In this Thursday Therapy episode, The Weight Psych Glenn Mackintosh asks YOU what you want to see in our YouTube Channel in 2017. From improvements to the current Thursday Therapy series to new series ideas, including a vlog, interviews, client transformations and non-dieting advice on food and exercise, we want you to have your say – WHAT. DO. YOU. WANT? HAVE YOUR SAY in our online support group poll. Hi everyone it’s Glenn Mackintosh the weight psych and this Thursday Therapy I’m asking you the question. Welcome to Thursday Therapy guys and happy New Year. As you know the new year’s time is a really powerful time for reflection and transformation and I’m really stoked with the way our YouTube channel is gone last year, we’re getting up close to the thousand subscribers which is really cool, we’ve answered some awesome questions and I feel like we’ve improved the way that we kind of deliver Thursday Therapy to you. But you know I tell you what to do all the time, I wanted you to have an opportunity to tell me what to do. You know that’s not exactly true, I’m not going to implement everything you say and I never tell you what to do in Thursday Therapy but when you start a YouTube channel it’s really funny, everyone has an idea on what you should do. Y”ou’ve got to try this”, “hey if you thought about this”, “you should do this” and there are some really cool ideas but what I want to know is which of those ideas do you want us to follow up further. 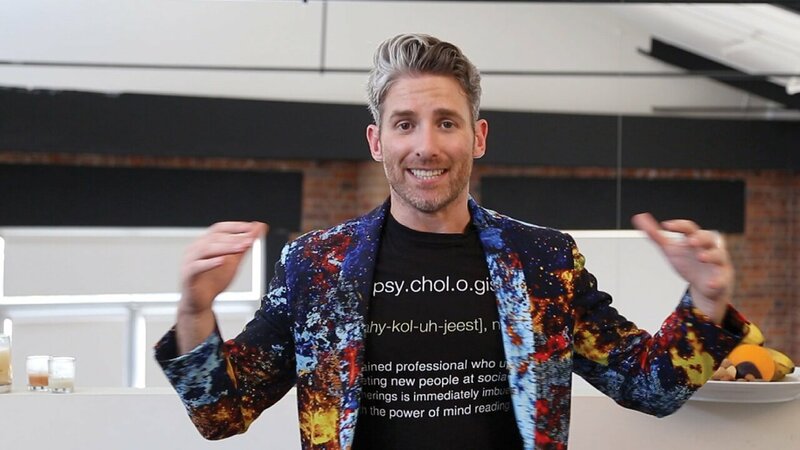 So we’re going to throw it out there and what I really need is for your feedback, because when you come to the weight management psychology channel I want you to be getting it like you like it. We at Weight Management Psychology, me personally, we never rest on our laurels, so we need to have a bigger 2017 than we did 2016, and that means providing you with more value, more insights, a bit more fun and just in general improving and transforming the way we do things. So we’re going to throw up a few ideas and we want to hear from you okay? Okay cool, so the first thing we got to talk about is anything we can do to improve the Thursday Therapy format that we’ve got existing at the moment. Part of me was thinking you know we’ve kind of investigated all the nooks and crannies in the weight management psychology home office to give you different places to look but part of you is kind of thinking maybe we need to have some really cool YouTube it’s just like have their spot and it’s all kind of set up the same way every time and it’s really nice environment. So what would you prefer there? Do you want the videos to be longer? Some people say you know, what we want is some really in-depth stuff. That is kind of a bit more for our online courses, so we probably wouldn’t go too much longer. Or do you want them shorter? I often plan to do them shorter, but I actually want to give you enough information so you can really get the ideas and I want you to understand not only the idea but how you might apply it, how you might overcome any barriers or give you a few ideas in case they’re not all right to you. But maybe you want a bit of a shorter Thursday Therapy, we can kind of work towards that. Maybe you want to see me wearing different stuff. You guys said towards the beginning, “Glenn we don’t really like so much of like the psychologist-y in the suit, it’s just a bit eh”, so like I kind of dress it down. I would kind of like to wear like one different random item of clothing every time we shoot Thursday Therapy. What else? The health professionals’ questions. We’ve trialled doing a few health professionals questions. I want to know, do you want to stick with just you guys asking the questions or do you want to see some more of those health professionals’ questions? Quite a few more are coming through, I can answer them, I don’t have to answer them, but my thoughts would be that whenever I get them I’m like, you know what these are actually really good, really insightful questions that you guys might not ask but you do struggle with. They kind of synthesized you know the issues that they get from people over and over again and then kind of bring them to me, so I think that’s really cool. So, anything you want to let us know about Thursday Therapy and what we could do more of, less of, or differently will be totally awesome. The other thing that I want to talk about is different series for the weight management psychology channel. I think we’d organize these is like different playlists, I don’t quite know how it works we’ll have to figure it out, but you have got Thursday Therapy, you’ve got some other ideas for really like different series of stuff that we can create for you. So, one of the ideas that does keep coming up is for me to have a vlog. This is where I can kind of talk about what’s going on for me and my attitudes to certain types of movement, certain types of eating, a lot of people are interested in what I do and I definitely am someone who practices what they preach, although you would probably learn from it that I am far from perfect and in fact I consider myself an imperfectionist when it comes to eating movement and self-care. I think that’s actually a good message so we could do like a vlog and I’d talk through those things, I probably talk through you know what’s going on currently like if there’s some big topic that comes up during the week you know, what my thoughts are on that, maybe some stuff about what’s going on for us at WMP, because that’s obviously a massive part of my life and potentially I could sort of transfer my blog – 52 thoughts for the chronic dieter which I write, into like a video version where I could just give my rants, my thoughts on things that I want to talk about, as well as the Thursday Therapy where we talk about the questions that you want answered. So that’s one idea is, we could do a vlog. The other idea that we’re exploring is doing some interviews. These might be a little bit longer, sort of like the 15 minutes to half an hour, or they could be shorter. I just feel like there are some awesome health professionals who are very like-minded and doing some really cool, stuff that we could do some interviews that would be really cool for you to hear. Wendy our PT, she’s a total guru and she had a really cool idea, doing something that we’d call something like “thoughts from a three percent”, where we could take those very few people who are successful with weight loss and really grill them on what was it like for you, what are the advantages, what are the disadvantages? Just a real-life portrayal of what it’s like to be quote unquote, successful with long-term weight management. That’s a really cool idea. The other thing that I really like is, there are so many people who are not necessarily in that health professional space, say like the body positive and the mindful eating space who are doing some really cool stuff out there and I think that sometimes we as sort of academically trained people tend to go poo poo those people don’t have degrees, but I think some of them are like making better changes then we are, that’s kind of the reason why we started this channel in the first place. So maybe some interviews or some collaborations with some of those people? Would love to hear thoughts. Okay so another idea that I really like and I’ve had lots of kind of mixed responses on this is that, due to this big news that I still can’t tell you yet, coming soon, I’m going to be really, really busy with like public engagements and moving more into like that professional public figure life so I’ve had a whole bunch of people say Glenn stop seeing clients one-on-one. But the thing is I love seeing clients one-on-one, so I’m trying to think of a way that I can kind of merge those two things together, one would be to actually record some of my clients interviews, because when we’re there in session there are just some beautiful moments and I think that sometimes my clients having really lived these issues, I can explain to people how to transcend them, but when they say in their words the experiences that they’re getting, the insights that they’re having, and the benefits – is really powerful and I kind of feel like that would be really powerful stuff for you guys to hear. Some people go hey Glenn that’s a really good idea, other people say no Glenn you know people don’t want to sit through your hours of your consultations, we would you know sort of put it all together so it makes sense for you, or another thing that we could do is I think of having something I might call transformations, where people if they’ve made a good transformation can just come and like talk to the camera, say ok this is the way I used to be, this is what I’ve learned, this is the benefit, so you can start to see the actual benefits of our ideas. Especially if you’re just kind of dipping your toes in the water, you don’t yet know the power of a non-dieting weight inclusive, psychologically minded approach and I really think it’s really powerful for you to hear that from other people who are kind of in a similar boat to you. So I’d love to hear what you think about the pros and cons, or any other ideas on that. Okay the last thing that I want us to think about, unless you have any other awesome ideas because we are really all ears today, is do you want some type of food and/or exercise advice. Everyone keeps on telling us that we should do this. It’s a bit tough because I don’t think people really get our approach, is our approaches non-prescriptive so we’re not going to tell you what to eat, we’re not going to tell you what type of exercise you should do. It’s really about listening to yourself and finding what works for you as a unique individual. But everyone these days seems to be doing kind of food plans and exercise plans. We wouldn’t do a food plan on YouTube or an exercise plan, but we might potentially think about taking you through some workouts that we think are really cool and really simple to do. We might look at some recipes, I’d probably rather do that like a cooking show. We’ve got a wonderful client, Alison Lee from Nourish Table who has lost about 60/70 kilos following a non-dieting approach and I always say to people, she’s lost a lot of weight, but what she hasn’t lost is a love of food. So, it could potentially include a few of those cooking sessions which is just really about kind of like cooking nice food in the non-dieting way. So, I’ll be happy to do something like that but, I’d be really keen to hear what your thoughts are because a lot of people are telling us that we should do this. We kind of have got to make sure, what we do have to make sure that we don’t undermine our first principles, because the non-dieting approach isn’t restrictive, it’s not prescriptive, so we’re never going to tell you this is the exercise plan that you have to follow to the letter or this is what you need to eat, but we are really getting the feeling that some of the nutritional information and some of the exercise information delivered in a non-dieting way can be really beneficial for people. So, super keen to hear what your thoughts are on that. So, guys there’s the basic things that we’ve been meditating on and you know what we’ll do, when we, especially in our Facebook group we often ask people questions – we give them like ABCDE – what are your favourite things, I don’t exactly know how we’re going to do it yet, but if you look at the links below, feel free to tell us whatever you think, but what we will do is will organize this in a way so you can give us your few favourites. You know some of you, hopefully, will be thinking you know what all of those ideas are good, and we do find when we give people that kind of ABCDEF for their favourite you know they can list their favourite, we get in our Facebook group people go nuts on that. It’s a really good way to organize your thoughts, so we will do that. So, feel free to throw us any thoughts that you have and/or give us your top few favourites and that might give us an idea or it will give us an idea on the direction that we want to move in with all these really cool ideas. Of course, just because we don’t do something this year, doesn’t mean what we can’t do it next year. We’ll be in exactly the same boat next year. Now speaking of year transformations, I just realized before that we haven’t actually let you guys know on the YouTube channel about our 12-month transformation online. We’ve let some of our database know we know that not all of you guys are on our database and you might be watching this on Facebook, so we know that not all of you guys are on our email list. So, I just will provide a link below basically the 12-month transformation online is the fully online version of our 12-month transformation program. We run it every year, people are so surprised and amazed with the benefits that had, that last year we spent a big chunk of time every week developing refining and testing the online version of the program with 50 of our clients and it’s awesome. People are actually jumping on it more than we expected we’ve got about 50 people or probably more than that by the time you watch this that are already signed up to it, so it’s a really cool thing. It’s a collection of our five online programs, it’s really cheap and actually you guys won’t have the discount code yet. So, if you use the code GMACK, if you sign up with the upfront payment or if you use the code GMACKPP for GMACK payment plan, we’ll give you ten percent off your courses. What we’ll have to do, is we will have to extend the code for everyone because this is like a special little offer, it will give you this offer but we’ll provide the link below so you can check out everything you need to know about it and we might actually provide a link to the video that explains it all too. It’s an absolutely transformational program. When we run it face to face, and even without trial with the online people, people just come up to us and they say you guys are on something special. So, it actually starts in only a few days so we want you to really check that out because we would love to take the journey to transformation with you in 2017. Anyway, thank you for a bit of a different Thursday Therapy, I am super excited for where we’re going to go this year. I don’t know where it will be but I’m sure that we’ll be able to shape it together. Take good care, here’s to your new year’s resolutions and we will see you at the next Thursday Therapy. Hey Buddy!, I found this information for you: "EPISODE 22 What Do YOU Want?". Here is the website link: https://www.weightmanagementpsychology.com.au/episode-22/. Thank you.